“If you're going to make connections which are innovative, don't have the same bag of experiences as everyone else". Mr. Jobs was bang on the money there. Close connections between Scottish business and academia are strengthening Scotland’s thriving FinTech sector. Graduates coming from Scottish universities offer highly relevant skills, and financial technology firms are influencing course content. The result? Graduate talent closely matches real industry demands. Scotland already has an international reputation in the world of finance and attracts the UK’s most foreign direct investment after London. 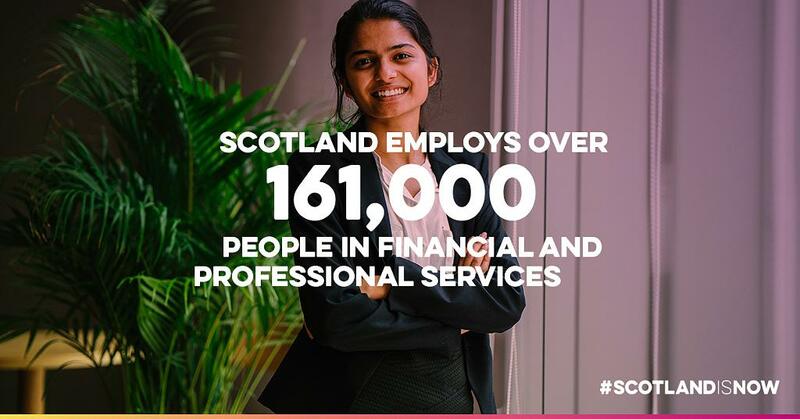 Its strength lies in diversity - there’s expertise in Scotland across pensions, investments, banking, professional services, asset servicing and many other sectors in the financial industry. In 2016, the UK’s first MSc in FinTech was launched at the University of Strathclyde in Glasgow, a city that employs over 10,000 people in a range of financial roles. In this video, FinTech firm Encompass demonstrates why it travelled 10,000 miles from Australia to discover Scotland as the perfect business and talent location to help make its software operation go global. Scotland has global fintech ambitions too. This all starts with great hearts and minds behind this exciting new sector and getting the right people together in a room to think big. Scottish Financial Enterprise, the representative body for Scotland's financial services industry, has been a vanguard in growing the sector. It has led the way in setting up another organisation, Fintech Scotland, now pioneering this developing community. Likewise, Scottish Development International plays an important part in attracting inward investment into Scotland from all over the world. As does Talent Scotland in attracting the right talent here. Strathclyde University works with these organisations and many more, such as the International Financial Services District (IFSD), which also sponsors an annual conference: a setting for businesses and academics to learn and develop together. In Fife, a culture of collaboration has launched Scotland’s first FinTech skills academy. A consortium of international fintech companies has joined forces with Fife College, Fife Council and FinTech Scotland to launch the venture. It aims to develop graduate talent, providing a steady flow of highly qualified applicants for the growing number of specialist roles in FinTech in Scotland. Scotland’s highly connected infrastructure creates a setting where collaborations flourish. Academics, leading financial businesses and innovative FinTech start-ups work together to identify the skills that are needed. Everyone – in business and education alike – work together to ensure Scotland’s multinational graduates have the relevant skills to work in this rapidly developing FinTech industry. For any Scottish business, and those in Europe and overseas, Scotland is a prime FinTech location. And many businesses now realise the benefits of being able to influence local university and college curriculums. “Our new master’s course in finance, technology and policy is a clear example of what can happen when there’s collaborative thinking and working. Our MSc addresses the knowledge gap created by the pace of technological transformation in financial services and markets”. The course aims to prepare graduates to lead in the FinTech sector and has been designed with input from the Edinburgh Futures Institute and multiple industry stakeholders, including banks and financial institutions. Although led by the Business School, this programme draws on the expert knowledge and research from across a number of disciplines. Students benefit from different approaches and viewpoints on how to tackle complex problems such as those being faced globally. There's power in partnerships: getting Scotland’s FinTech businesses involved directly in creating course content is helping universities and colleges shape the future direction academia. This will also influence the future of the whole sector. Graduates benefit from relevant skills, practical experience and opportunities to network with people in the industry. 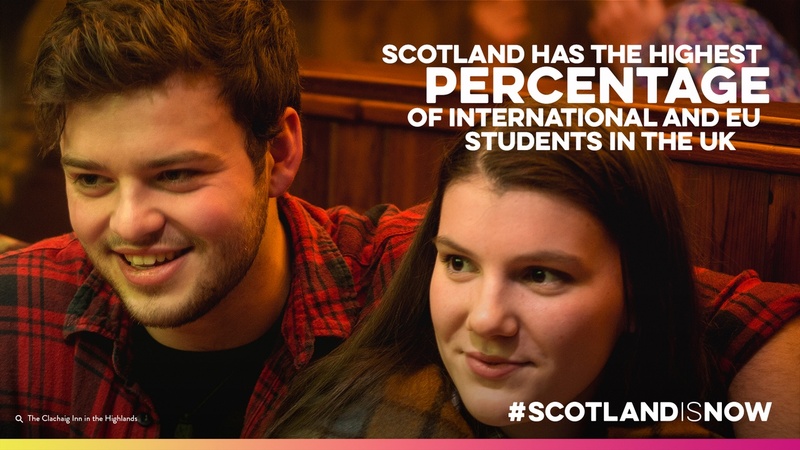 And Scottish businesses and global ones can source the talent and expertise they need, whether graduate employees or research connections. Overall, Scotland’s leading position as a place where organisations and education work together strengthens the country’s proposition as an outstanding location for inward investors across FinTech and financial and business services.